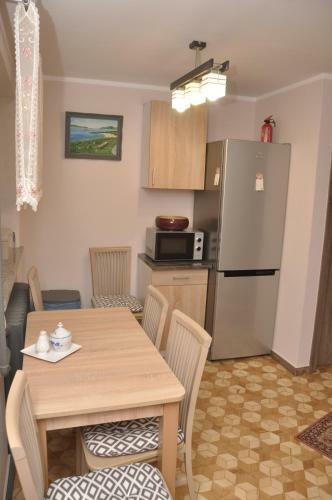 Apartament Pod Świerkami in Olecko is a guest house with 4 Rooms. 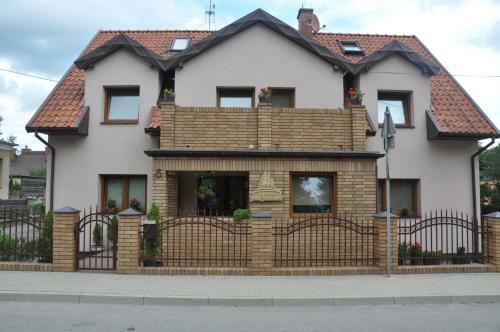 Situated in Olecko, Apartament Pod Świerkami features barbecue facilities and garden. 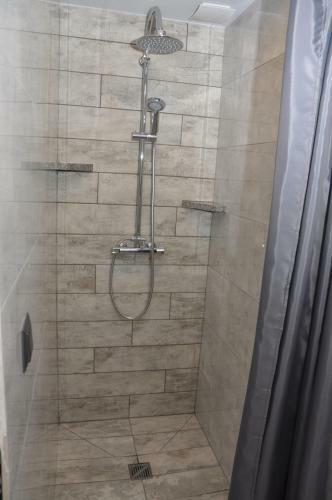 All rooms boast a bathroom. Free WiFi is at guests' disposal. Th...e units in the guest house are fitted with a kettle. The rooms will provide guests with a microwave. Giżycko is 57 km from Apartament Pod Świerkami, while Suwałki is 35 km away. 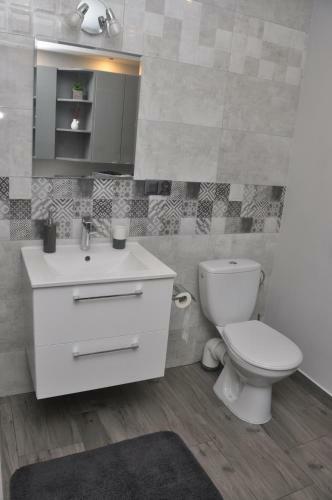 When would you like to stay at Apartament Pod Świerkami? Children and extra beds All children or adults are charged PLN 40 per person per night for extra beds. There is no capacity for cots in the room. The maximum number of extra beds in a room is 1. Supplements are not calculated automatically in the total costs and will have to be paid for separately when checking out. Please inform Apartament Pod Świerkami in advance of your expected arrival time. You can use the Special Requests box when booking, or contact the property directly with the contact details provided in your confirmation.